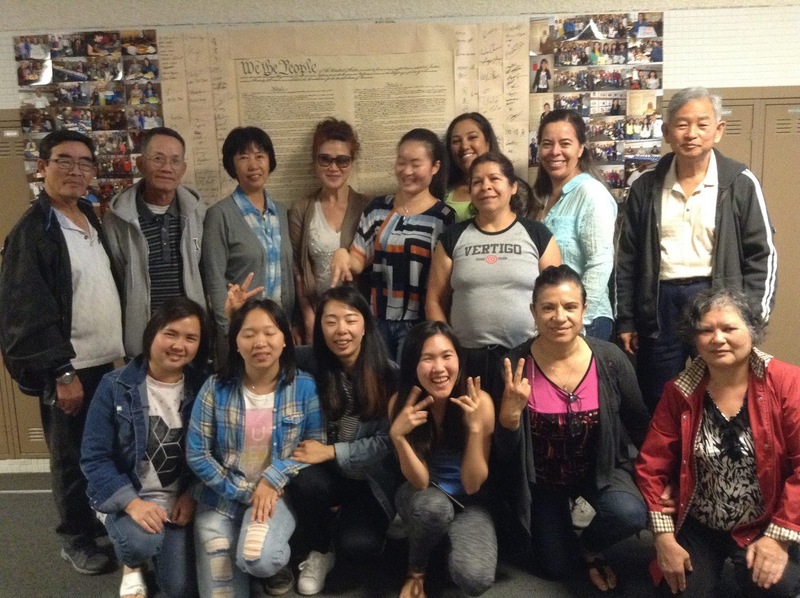 From July 5-July 21, I taught a combined ESL 2 and 3 class at Milpitas Adult School. We took this opportunity to study ESL/Citizenship and read "Holding the Bag," an ESL novel set in Washington DC that had many links to study for the Citizenship interview. After the class ended, we to post EdPuzzles of the VOA Learning English Presidents videos. On August 21, 2017,we started the new school year. ESL 1 students will continue to study a little citizenship every day.